The Presidency has described as outright falsehood, media reports that the new Director-General of the National Intelligence Agency (NIA), Ahmed Abubakar, failed promotion examinations twice, and holds dual nationality. Mr. Femi Adesina, the Special Adviser to the President on Media and Publicity, said this in a statement issued in Abuja on Sunday. According to him, Abubakar has never been a Chadian as is being speculated in the media. “A lot of half-truths, misinformation, and outright falsehood’’ had greeted the announcement of Abubakar as the new director-general of NIA. He noted that though Abubakar’s parents hailed from Katsina State, and had settled in Chad at a point in their lifetime, the new D-G did his primary school in Ndjamena (then Fort-Lamy), but returned to Nigeria for his secondary and University education and never at any time held Chadian nationality. “Some of such unfounded stories include that Abubakar had retired from the services of NIA as an Assistant Director, because he failed promotion examinations twice, and had to quit, willy-nilly. “Others claim he is married to a Moroccan, and so cannot hold such sensitive security position, while others say he was born and bred in Chad, and he holds dual nationality. “All these have been widely disseminated on the social and some mainstream media. “With the formal assumption of office by Mr. Abubakar, it is now necessary to set the facts straight,’’ he said. 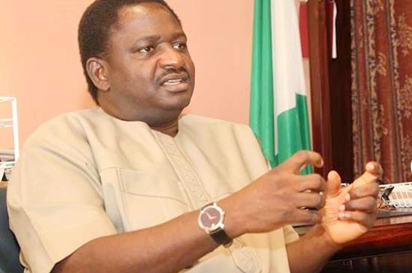 Adesina maintained that the new NIA D-G retired from Foreign Service as Deputy Director (not Assistant Director) and had thrice during his career, won Merit Award for competence and meritorious service. According to him, failing promotion examination can only exist in the fecund minds of fiction writers. “His last position before the new appointment was as Senior Special Assistant to the President on Foreign Affairs/International Affairs where again he quietly proved himself. “Abubakar’s parents hailed from Katsina State, and had settled in Chad at a point in their lifetime. “The new D-G did his primary school in Ndjamena (then Fort-Lamy), but returned to Nigeria for his secondary and university education. He never at any time held Chadian nationality. “Mr Abubakar’s only wife hails from Katsina State, indeed, from the same community as the husband. “The story of being married to a Moroccan can only be tale by moonlight, concocted by people who love a fib,’’ he added. The post NIA: Presidency defends Abubakar’s appointment, says appointee not Chadian appeared first on Vanguard News.